Rent villas and houses in Saintes Arrondissement, France with private pools. Book affordable holiday rentals that are near a beach and golf course. This 6 bedroom house with private pool is located in Villars-en-Pons and sleeps 14 people. It has WiFi, a garden and barbeque facilities. This modern 4 bedroom 2 bathroom bungalow features a vast South facing living space with fitted kitchen, including a great breakfast bar and american style fridge/freezer. On the edge of the pretty village of Migron, in a quiet position, this holiday property faces a private pool with a covered seating area with kitchenette. Explore the nearby Charentais countryside. This three-bedroom, traditional Charente house has been transformed by the owner into a spacious and bright holiday gîte. Very well located, this property is set less than half an hour's drive from the coast and beaches of the ocean. This stone farmhouse has been renovated and opens on to a large. This elegant 18th-century château stands in 2.7 hectares of walled grounds, in an idyllic peaceful setting of imposing trees with a large formal garden with statues. This very pretty detached holiday villa is set in a quiet village between Rochefort, La Rochelle and Saintes. It has an enclosed private swimming pool and a large covered terrace. In between the Roman town of Saintes and the naval city of Rochefort, this 17th-century Charentaise house is set in the heart of Beurlay, next to the owner's property. 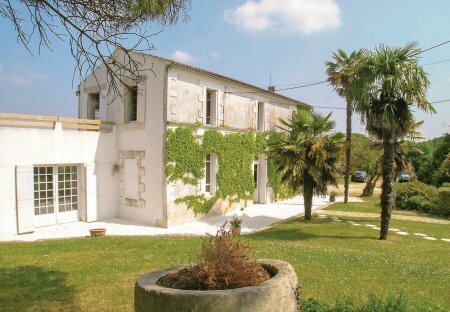 This 2 bedroom house is located in Meschers-sur-Gironde and sleeps 6 people. It has parking nearby, a gym and a spa. The house is within walking distance of a beach. This cosy three bedroom holiday home dates back to the 18th Century. It has since been thoughtfully renovated and now boasts a rustic and traditional décor. In a 2.7 hectare of wooded fenced park, the cellars of the 18th century castle have been renovated to offer an ideal holiday property with atypical spaces. This attractive farmhouse next to the owner's home has been carefully restored to retain its traditional charm and character. The spacious interior has cool rooms. This converted barn is now a delightful holiday cottage in Charente Maritime , just a short drive to the market town of Saintes. Whilst a quiet and peaceful country retreat. 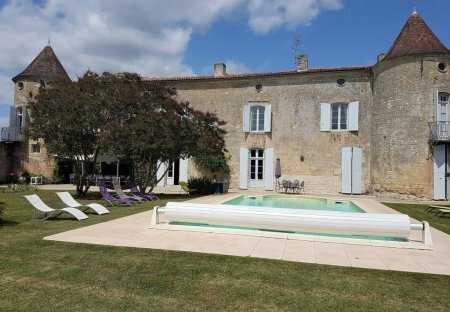 Set in a unique estate in the Charente Maritime, with a backdrop of ancient stone walls, this 17th century villa with private pool is set in twelve acres of beautiful parkland. This semi-detached holiday property is situated in a hamlet on the outskirts of Gémozac and retains many original features including stone walls. Along the estuary of the Gironde, near the beaches of Meschers and Royan this old fisherman's cottage is set in the lively village of Mortagne.